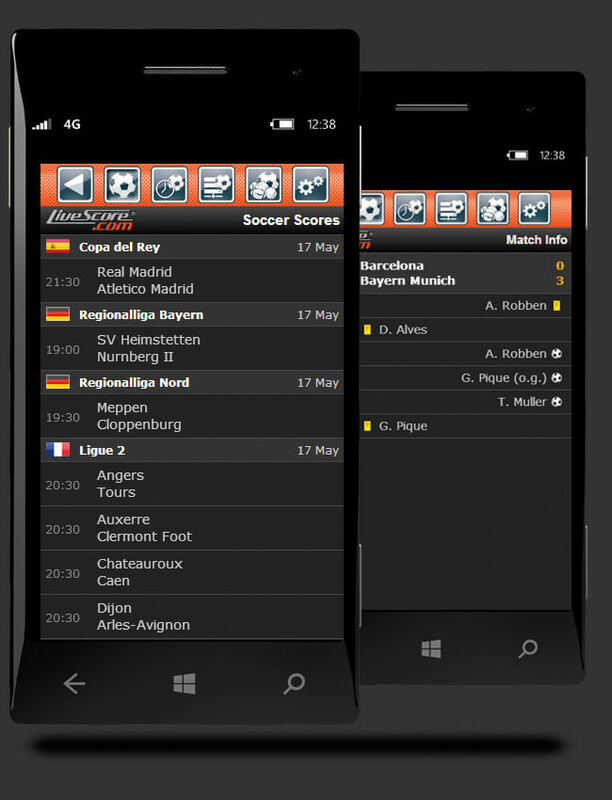 LiveScore Mobile Web Application is an optimized mini-website. 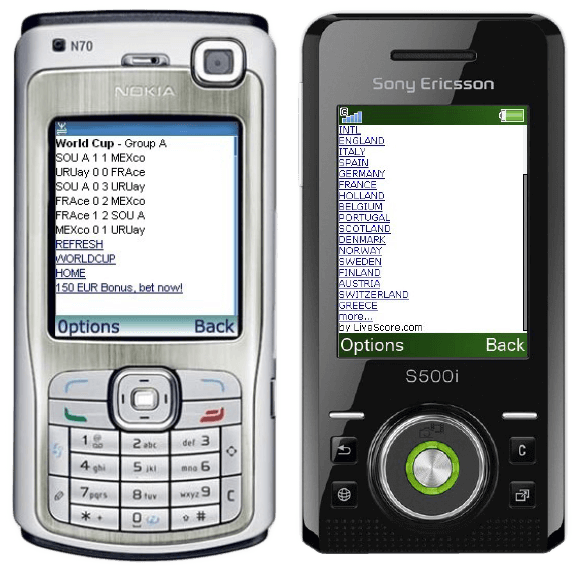 This version was designed for the majority of mobile devices like Windows 8 mobile, BlackBerry, Kindle. If you cannot see our mobile LiveScore application on your mobile phone, please contact us.